Retirement in Thailandis always complex when you dont know much about the Thai immigration rules and laws which governs retirement in the Kingdom. Here are some of the basics for retiring in Thailand. These are the conditions and financial requirements. You must have no criminal record. Have the nationality of or residence in the country where you submitted your application. Must be physically and mentally healthy. There are also documents needed for your retirement in Thailand . 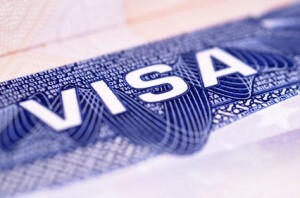 It is best to discuss these with an immigration attorney as the rules do change and only correct at the time of writing. Retirement rules have changed numerous times over the past 6 years. It is always best to keep abreast of the latest changes. You need a copy of bank statement showing a deposit of the amount equal to and not less than 800,000 Baht or an income certificate (an original copy) with a monthly income of not less than 65,000 Baht, or a deposit account plus a monthly income totalling not less than 800,000 Baht. In the case of submitting a bank statement, a letter of guarantee from the bank (an original copy) is required. A letter of verification issued from the country of his or her nationality or residence stating that the applicant has no criminal record (verification shall be valid for not more than three months and should be notarised by notary organs or the applicant’s diplomatic or consular mission). A medical certificate issued from the country where the application is submitted, showing no prohibitive diseases as indicated in the Ministerial Regulation No.14 (B.E. 2535) (certificate shall be valid for not more than three months and should be notarised by notary organs or the applicant’s diplomatic or consular mission). In the case where the accompanying spouse is not eligible to apply for the Category ‘O-A’ (Long Stay) visa, he or she will be considered for temporary stay under Category ‘O’ visa. A marriage certificate must be provided as evidence and should be notarised by notary organs or by the applicant’s diplomatic or consular mission.